Last Chance U will do a second-straight season at Kansas' Independence Community College. 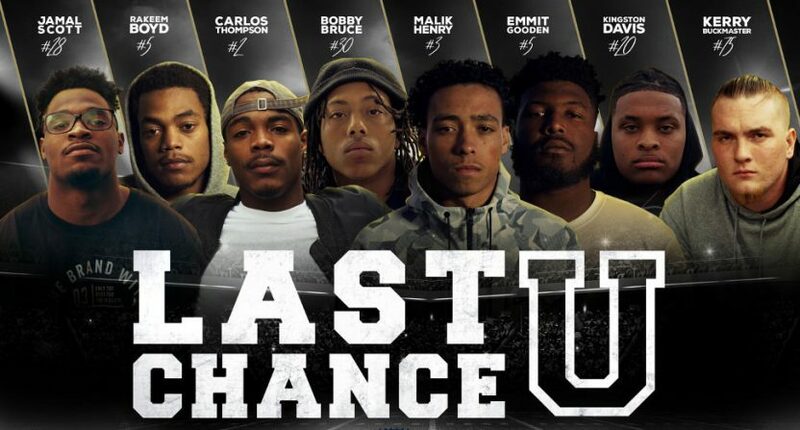 The third season of Last Chance U (poster seen above) saw the Netflix show shift its focus from East Mississippi Community College to Kansas’ Independence Community College with mixed results; the documentary’s off-the-field content was perhaps a bit lacking compared to the first two seasons, but many viewers enjoyed the new perspective from brash Independence coach Jason Brown. And the documentary certainly brought plenty of attention to ICC, with the school using it to try and raise funds for a new practice field (they initially had a $250,000 goal, but have since revised it down to $25,000, and are now over $7,000 of the way there after a couple of months) and mentioning that there would be a Season 4 at the school in that update. Last Chance U returns to Kansas! We’ll see how Season 4 turns out. There were certainly elements of Season 3 many found interesting, including Brown’s personality and the Pirates’ previous struggles, and it will be worth watching to see how things go with a new recruiting class. But will Season 4 find ways to address some of the criticisms of its lessened coverage of the players’ academic challenges? We’ll have to wait and see.